Hope Studios: Tour of Lights! Join us on our holiday tour of Historic Hartwood Acres this Christmas! We always surprise the kids on the night we tour the lights by hiding a Polar Express train ticket and a bag of goodies for them to find. After lots of screaming "It's time to see the lights! It's time to see the lights!" we gather up our snacks and hot chocolate waits for us in the car and we head out to view the fantastic light display. Punch your ticket, it's time for our Polar Express Tour of Lights! Here is the Hartwood Mansion lit with blue lights and icicles. It is breathtaking when you turn the corner. Absolutely beautiful!! Thank you for sharing! Have a very Merry Christmas!!! I LOVE Christmas lights!!! Thanks for sharing your video! I love going to Hartwood Acres! I can't wait until my girls are old enough to stay awake to go and see the lights! 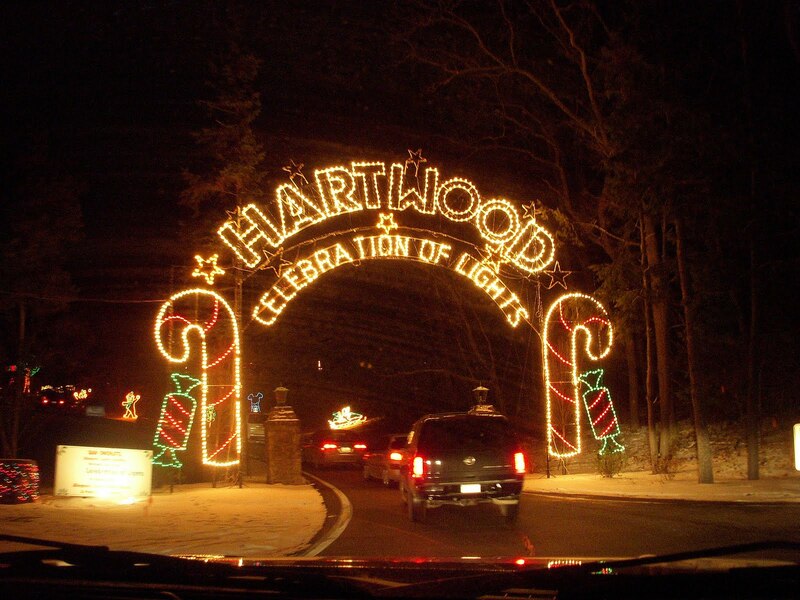 Hartwood has been a holiday tradition for us for many, many years, especially since it is just over the hill from us! Have a very cool yule Jen!